We are nominated for the L'Oréal Business Awards. Vote Now ! 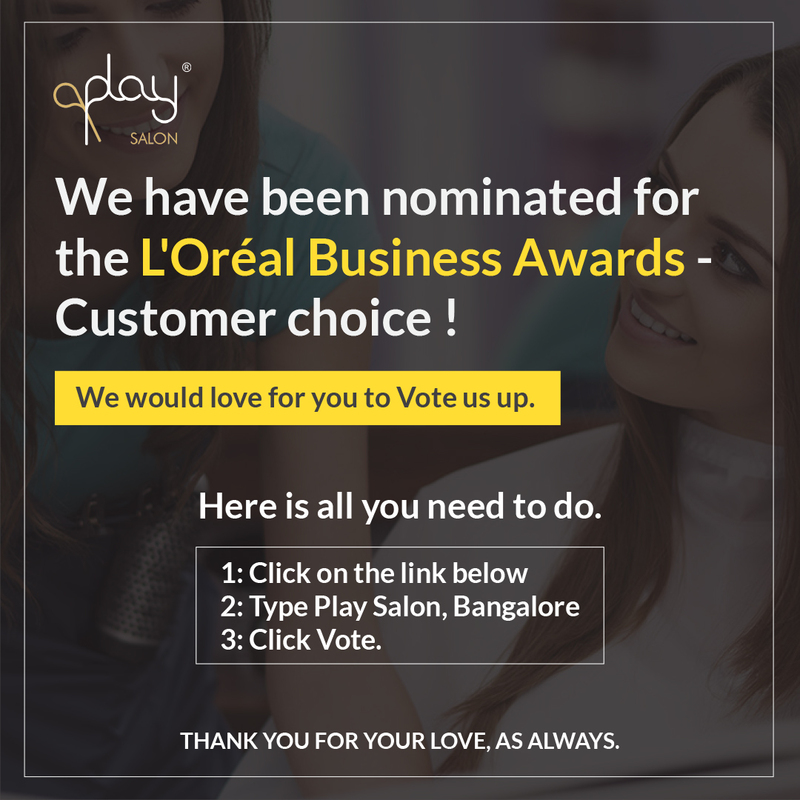 It gives us immense pleasure to share this nomination of Play Salon by L’Oréal India for its Business Awards – Consumer Choice 2018-19, and would love for you to vote for Play Salon in the category. Thank you for your love, as always. 9 Hair Care & Hairstyling Tips for Beautiful Hair Everyday! Customer Centric Approach Which provides a style salon experience like no other salons.